The secret to a long and wonderful life is laughter says Ryde’s Doris Gifford who celebrates her 100th birthday with family and friends on Sunday. 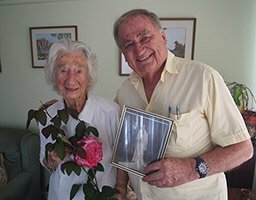 Born in Stanmore during World War One, Doris Gifford grew up in Five Dock and moved to Top Ryde from Leichhardt 58 years ago. Now a great-grandmother, she revealed that good health and looking on the lighter side of life are the main reasons she has lived to be one hundred. “I never drank beer and I was always a keen swimmer”, she said. “I worked for a while at cigarette manufacturer W.D. & H.O Wills, but I never smoked. “I count myself fortunate to have had kind and loving parents, a wonderful husband, beautiful children, grand children and now great grand children. “But most importantly of all I’ve always found something to laugh or smile about each day”. 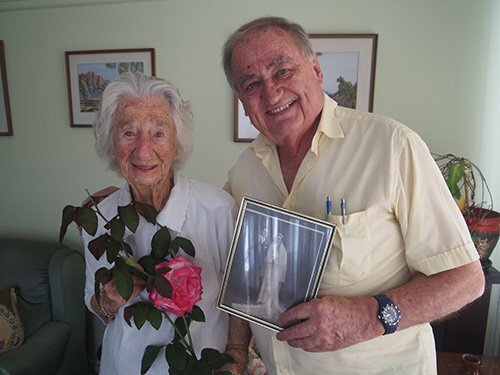 A fridge adorned with hand made birthday pictures from her great grandchildren suggests her family loves ‘Dot’ as much as she loves them but this inspiring centenarian has also had a wonderful life outside the home. “I worked in an accounts office at Grace Brothers in Top Ryde for twenty years until I retired when I turned sixty. “Just before I retired I had to turn down a managerial job because it required me to work on Saturdays. “Top Ryde holds many special memories”. He son Ron – now in his seventies – worked at Ryde Council since the age of 16 and she recalls the days when the towering new Ryde Civic Centre at Top Ryde was a Sydney marvel, like the Sydney Harbour Bridge. “I remember where the Civic Centre is today was so different and it was exciting to see it being built and opened, a great achievement in those days”, she said. Mrs Clifford also recalls Christmas time at the Top Ryde when local Alderman and The Weekly Times Managing Editor John F Booth would dress as Santa and wave from the shopping centre roof. “Every year they had Santa coming out of the chimney and people came from everywhere to see our Christmas spectacular and decorations”. Not all the great events that shaped the lives of her generation seemed wonderful at the time. Mrs Clifford remembers historic world events that include the death of war time leader King George V in January 1936, the Great Depression, strikes, blackouts and the May 29, 1942 Japanese midget submarine attack on Sydney Harbour. 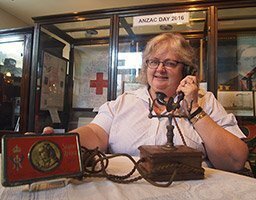 “I remember that when the air raid sirens went off we hid under a table or a mattress”, she said. “I had one daughter and was pregnant at the time of the Japanese attack, when people thought the Japanese were going to invade us. “I distinctly remember my husband Al came home that day and said the Japanese are in the Harbour and he had to enlist straight away. 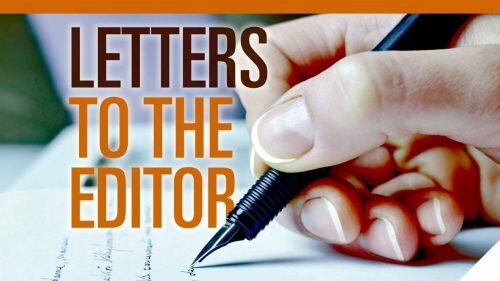 “He enlisted in the Air Force and was away for a couple of years but he still wrote to me, every day. “He returned to his job in the public service after the war. “I could not have asked for a more caring or kind hearted husband”. During Mrs Gifford’s lifetime countless numbers of Australians died from influenza outbreaks and she said the most significant change in her lifetime was the discovery of penicillin in 1928. She has no favourite Prime Minister and rates past politicians as either good … or … not so good ! Always a swimming enthusiast, Mrs Gifford learned to swim at Rodd Point at age four alongside her father, a Coogee lifesaver. She later swam at Cabarita on outings organised by the Gladesville RSL Club. Going to Nielsen Park by tram and ferry in the days before the mass production of cars was a special weekend treat. “Life used to be a lot simpler then”, she recalled. “I had a friend called Marge whom I started school with and we remained friends all our lives and we used to ring each other up on every birthday”. Another close friend was her little dog ‘Scamp’. Always a keen traveller, she said England and Scotland are her favourite destinations although family ties see Yass and New Zealand get a favourable nod as well. “I really have had a wonderful life, haven’t I ! ” she said.